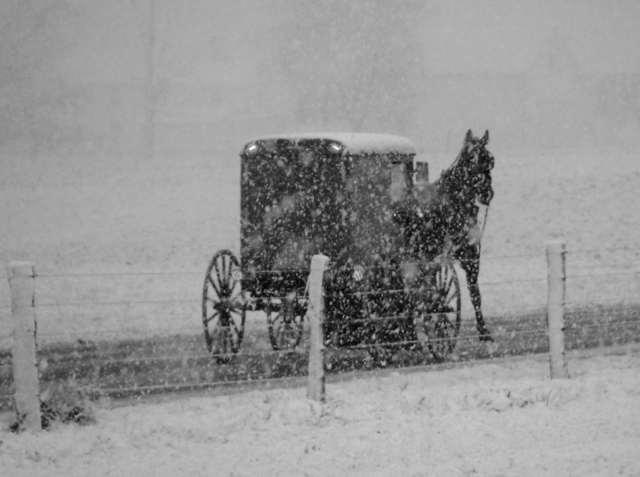 The snow is a falling again out in Lancaster County. 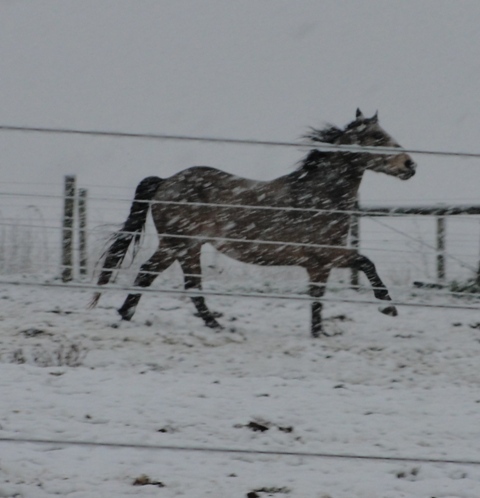 It won’t be too long before the horses and buggies won’t be able to get around. But this guy is having fun running around while he can.